While it’s great that reality shows like America’s Next Top Model have become more diverse, apparently it’s also causing some conflict — particularly amongst queer participants who want to represent their non-generic gender category, but aren’t being given a proper opportunity. In an interview with Entertainment Weekly, gender-queer ANTM eliminee Kyle McCoy talks about queer equality. She emphasizes how even though she was there to represent her community in a positive light, she wasn’t welcomed with open arms. "I got a lot of pushback from both the judges and the viewers with regard to similarities they saw between myself and Ruby Rose, who’s obviously a prominent androgynous figure in the media. I was told and have been told online, “There’s already a Ruby Rose; we don’t need you." True diversity means having as many representations of different groups as possible, so the idea that only one gender queer participant should be showcased makes no sense. 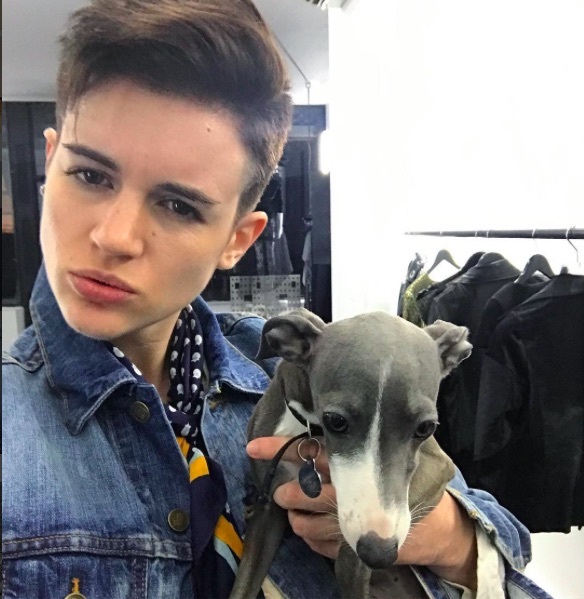 We’re glad that McCoy spoke up about her experiences, and hope that it reminds the fashion industry that diversity does NOT mean including a “token” representative among a sea of homogeneity, nor should it be assumed that all gender queer people are the same.